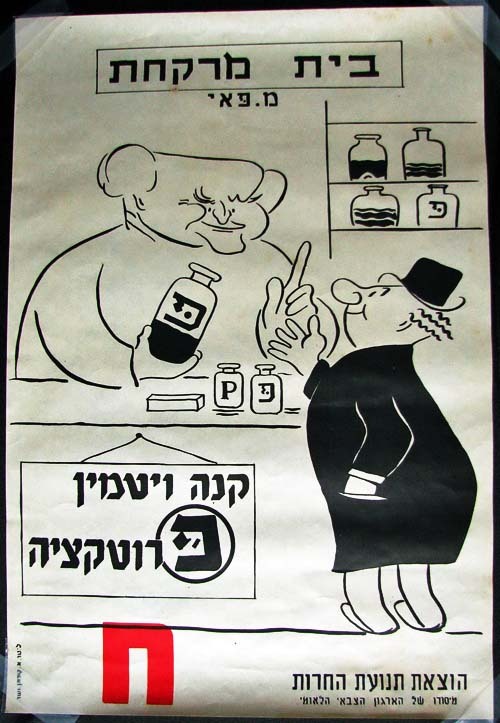 Curator's note: According to Dr. Eric Zakim this poster was printed by the Herut party as an attack on David Ben Gurion. It depicts Ben Gurion passing out "Vitamin P" which represents "protexia" or cronyism and political favors. He adds that the 1949 elections were extremely important because they set the stage for the dominance of orthodox Judaism in the social laws of the state.